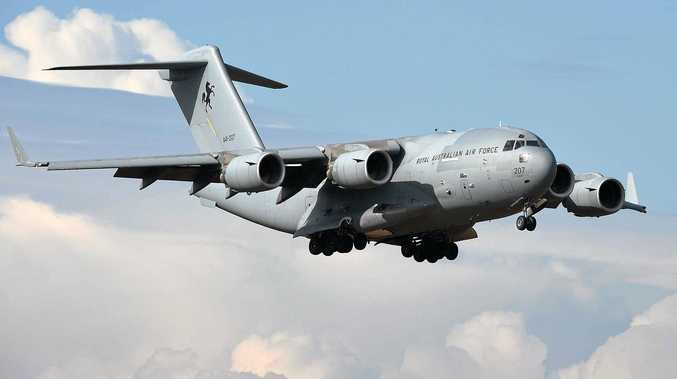 UPDATE: Two cows which escaped an overturned truck at the top of the Toowoomba Range are yet to be captured. Toowoomba police have beefed up an appeal for people in the Rangeville area to keep watch for the wayward bovines and report them to Policelink. But they warn if the animal is stressed it could pose a risk to residents' safety and, in that instance, they should call 000. 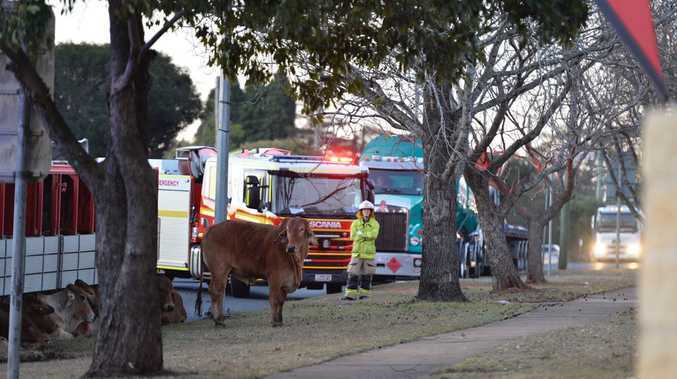 INITIAL: A number of cows that escaped during a truck rollover at the top of the Toowoomba range remain outstanding in the city's eastern suburbs. Police said between six and eight cows were unaccounted for after a long recovery mission on Cohoe St last night. Investigations are continuing into how the loaded B-double cattle truck overturned while turning left onto Cohoe St from James St shortly before 5pm Monday. A number of cattle injured in the incident were humanely destroyed last night, while some others died on impact. Others, such as the herd yet to be recovered, escaped in the chaotic scenes. The majority were last night recaptured and transported from the scene. A heavy-vehicle recovery unit righted the B-double and prime mover and towed it from the scene about 11.45pm after a lengthy process moving cows from one truck to another. Police urge anyone who sees a cow in the Toowoomba suburbs to report it on 4631 6300 or phone the RSPCA on 1300 264 625.